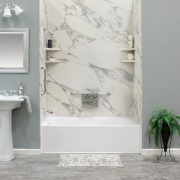 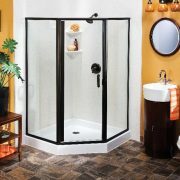 Showers from Ideal Baths offer a number of unique benefits and a level of individualization that is second to none. 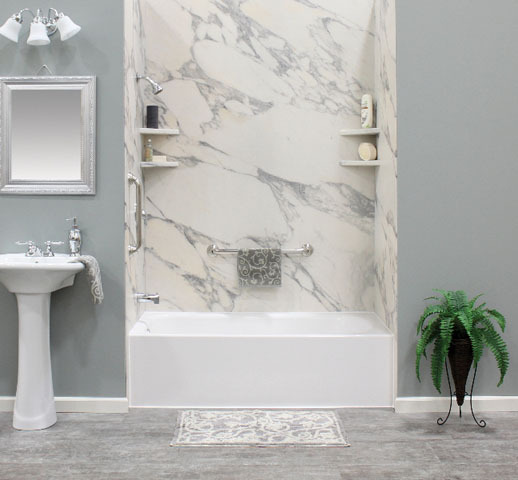 Whether you’re looking to replace a cracked or outdated shower or the time has come to replace your bathtub with a safer, easier to use and maintain ideal shower, we can help. Our custom-manufactured showers are available in a wide range of colors and patterns and feature a number of different accessories and fixtures, allowing you to design an ideal shower that will meet your needs and complement the décor of your bathroom. 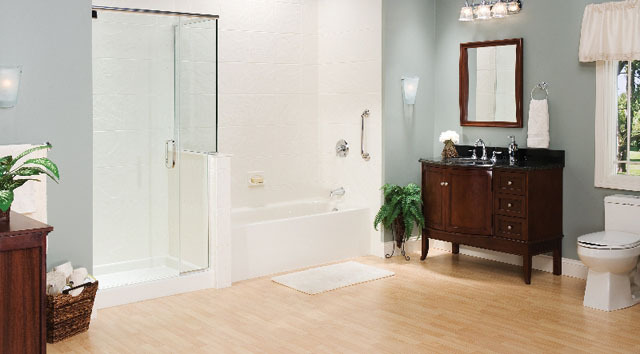 In many cases, bathtubs can become a safety hazard for the elderly or immobilized. 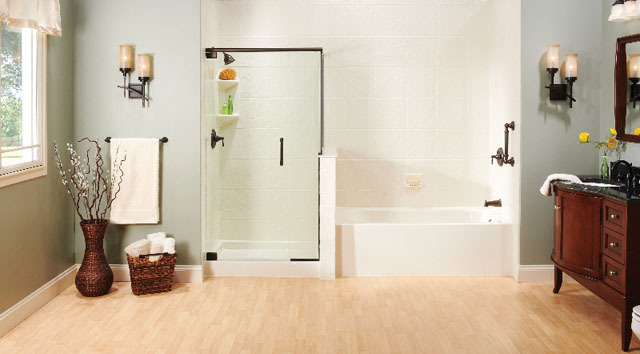 By installing a new shower with no threshold, for example, you can remove the barrier of having to step over the tub wall to get into the shower. 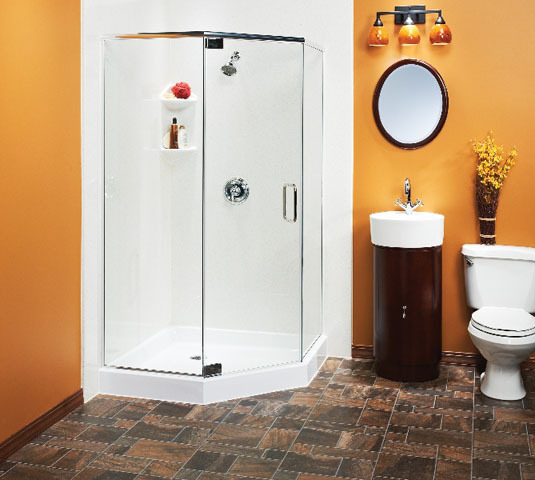 Of course, barrier-free options are also great for anyone who simply wants an easier way to enter and exit the shower. 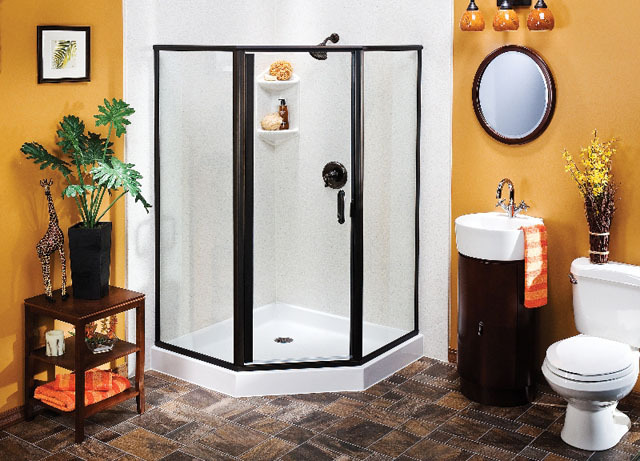 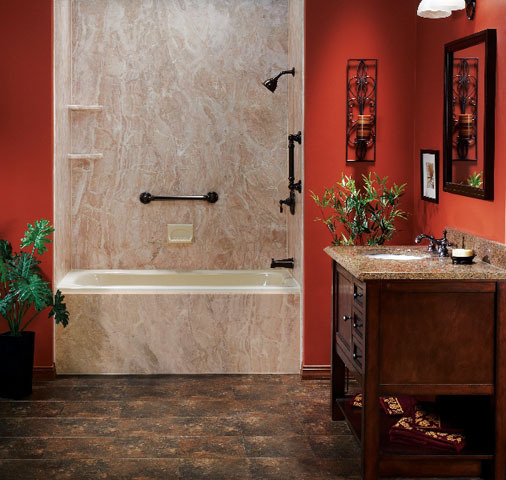 Our showers can also be designed to include safety grab bars, foot pedestals, and other optional accessories that can be a huge advantage over traditional showers and tubs.